Part of the Winter Trail Series put on by Ascent Physical Therapy in Carson City. Had a blast at this one a couple of years ago. 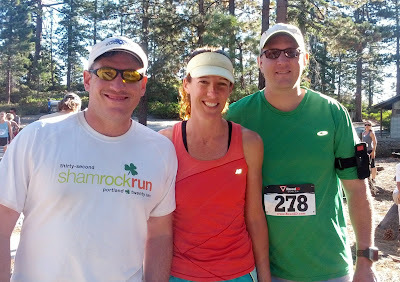 3 mile fun run and a 1 mile kids run, looping around the parking lot of the Sierra Summit mall. Lots of goodies and a great raffle! Fun small-town 5K down in Carson, to benefit Carson High's Safe Grad program. This is one of them "color bomb" races, where there are different stations throughout the course where they throw powdered colors at you. Wear a white shirt and have a colorful memento of the race. Held somewhere up at UNR. 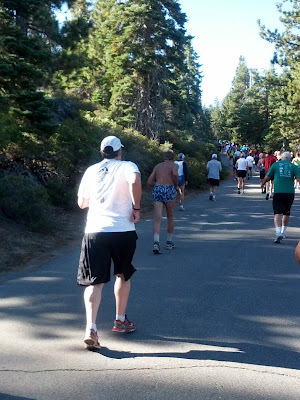 A 12k or a Trail Marathon, held in Granite Bay, CA, through the American River canyon. The last race in the DU Reno duathlon series. Looks to be a similar course to last year, starting and finishing at Reno Cycling and Fitness on Longley Lane. A 5K held out at Scheels and the Sparks Marina to benefit the American Heart Association. Then, we ran around Emerald Bay and along the lakeshore. From there it was some slow running and walking for me. Finished in just under 1:30, quite a difference from last year's 1:01:01. Glad I got some time in at altitude, but a little depressed at my results. 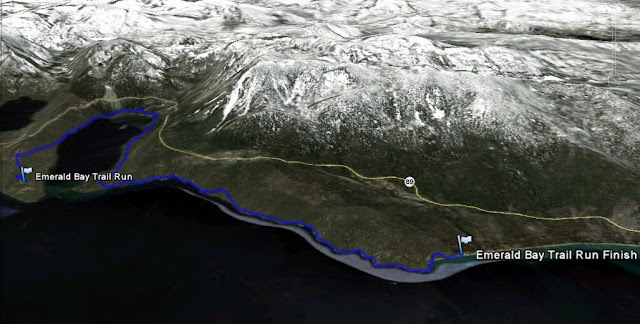 "Bay to Bliss" - starts at Eagle Point near Emerald Bay and winds along Tahoe's shoreline to D.L. Bliss State Park. Absolutely gorgeous. Here's my race report from last year, with lots of pictures. Ends with a party on the beach, and a shuttle ride back to Eagle Point. Also part of the Tahoe Trail Running Series. Somehow this race missed my radar until today, but it looks pretty cool. The Reno Galena Fest is in their fourth year, and this year adds a trail run to their list of events. Past years had the Bloody Rose mountain bike race, but now runners will have the Wicked Thorn 7.25 mile Trail Run as well as a 1.7 mile option. Great trails down there, and since the Fall Colors Half isn't going on anymore, those trails deserve a race. The way I found out about this race was an email from Living Social, a daily deals site like Groupon. The current deal is for a $12 entry to the race, down from $25. (Or $6 instead of $12 for the shorter race.) 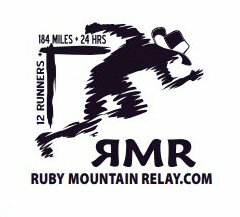 Follow the link above to sign up - that's the best deal on a race entry I've seen in a long time. I think the deal is active for two days from now, so probably through the end of this weekend. 5K and 10K options here, going on at the same time as the XTerra Tahoe. So, you get to spectate at the triathlon before and after the run. Fun course, winding through the trees around Incline Village. 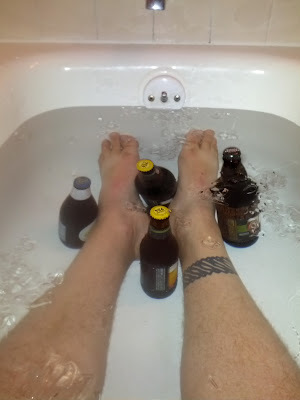 I did this one last year and had a blast; here's the race report. Whoops, almost missed this weekend's events. Fortunately there's only one, and it's on Sunday. 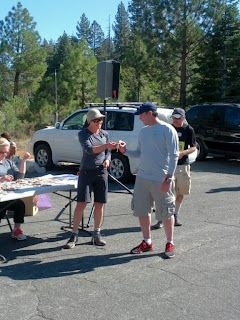 Another run in the Tahoe Trail Running series put on by Big Blue Adventure. I did this one last year, and it was a great course - if you like to climb. Up, up, up. And then there's a hill at the end. Here's my report from last year. Now put on by the Auburn Ski Club, this is the 32nd annual running of the Mountain Run. 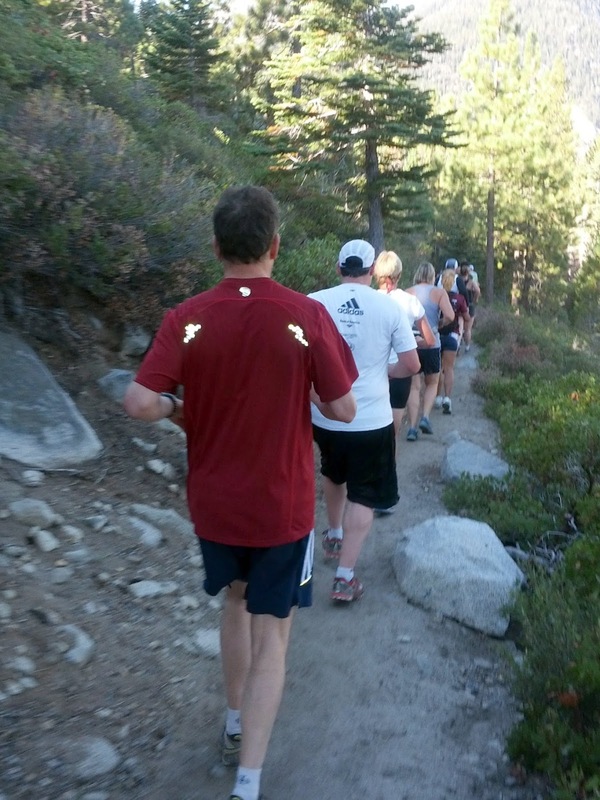 From the village at the Base of Squaw to High Camp at 8200 feet, it's 2000 feet of climbing in 3.6 miles. 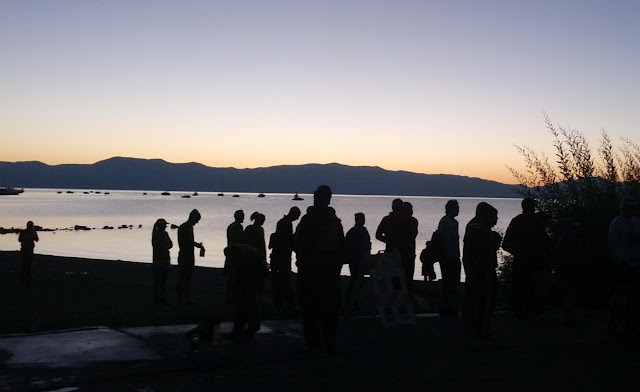 A must-do run for Reno-Tahoe runners. Don't know much about this one - held up at UNR, but the active.com page doesn't have a lot of info. Ah - apparently it's a benefit for the Northern Nevada Breastfeeding Coalition - look them up on Facebook for more info. The 5K Foam Fest that had been scheduled for this weekend up in Tahoe has apparently been moved to Ogden, Utah. It looks like the Moonlight Madness 5K/10K that was scheduled this Friday has been cancelled. I spoke with race director Catherine McFeely, who explained that there was very little pre-registration for it, to the point where it was fiscally impossible to get it set up. Apparently as soon as they made the decision to cancel it, interest started picking up, but it was too late to secure the venue, get shirts made, etc. She says full refund checks should be in the mail by this Friday for those who did pre-register, and not to worry, the Rock-n-River races (that they also put on) are definitely still a go for next spring. This is a pretty cool-looking obstacle race held up at Sierra-at-Tahoe, with three different distances and difficulty levels based on ski run ratings. The green circle course is 4.1 miles and has 8-10 obstacles, the blue square course is 7 miles with 12-15 obstacles, and the black diamond course 10.9 miles with 20+ obstacles. Wish I could do this one, looks like a blast. Put on by the Tahoe Tri Club. 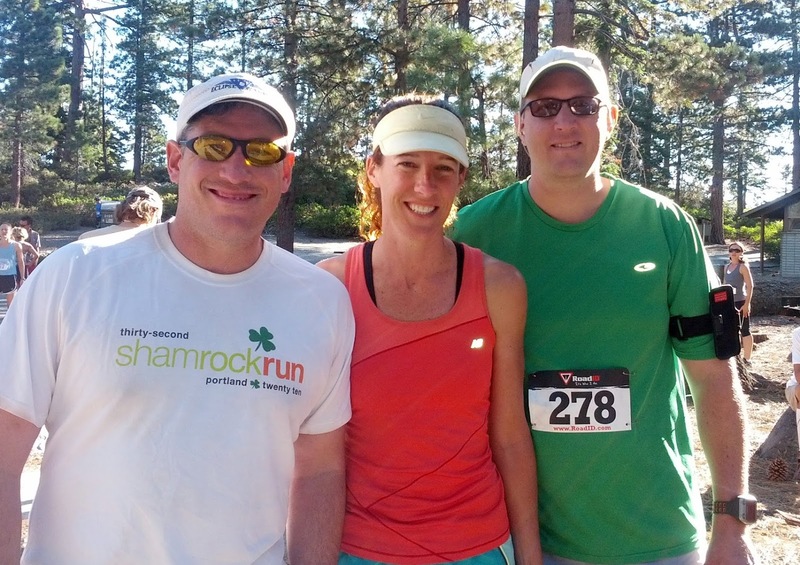 Third of the four-race series, this one held in Bartley Ranch park in southwest Reno. Also part of a series, the Big Blue Adventure races. 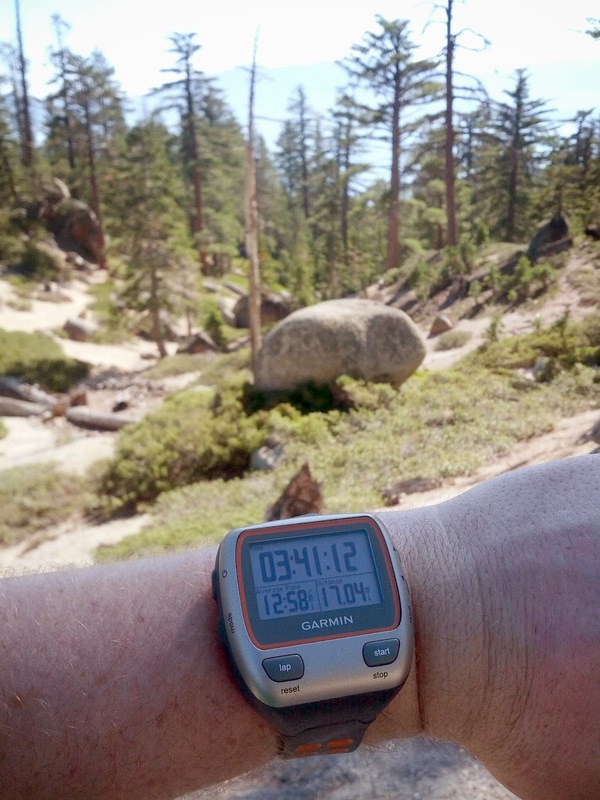 7.9 miles from Tahoe City to Squaw Valley. 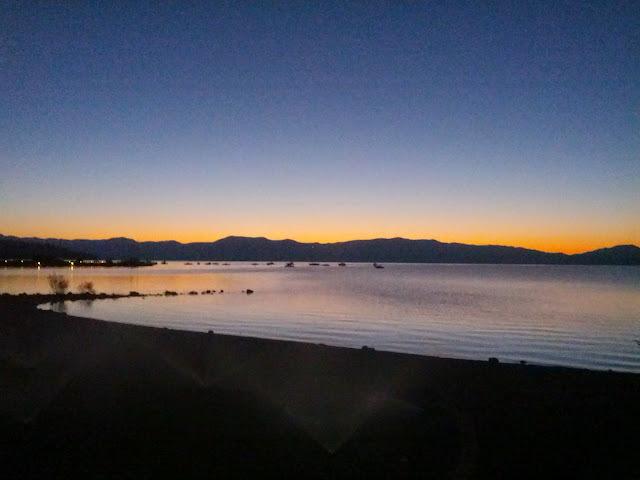 A prostate cancer fundraiser, held around Sparks Marina. Lots of family stuff, too, like a bounce house and face painting for the kids. 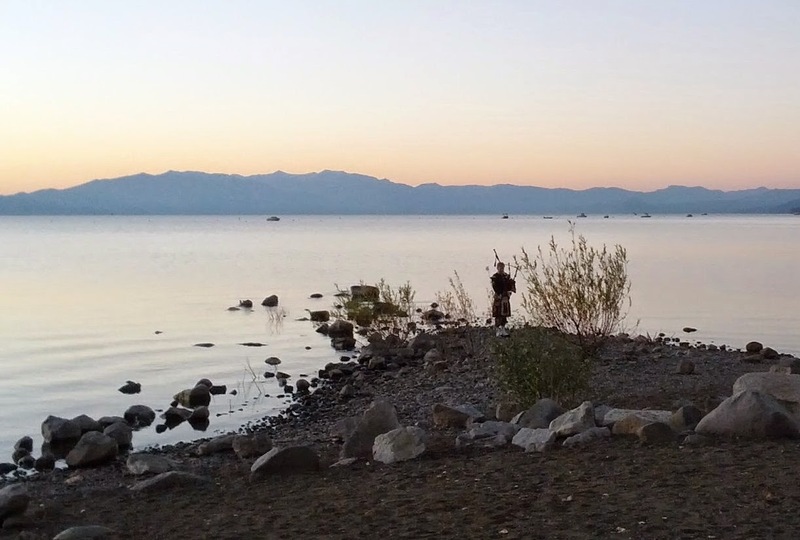 The 48th annual relay around the lake takes place this Saturday. Hope we have good weather for it! Second year of this event - last year was in the fall, but they've moved earlier this year. At Rancho San Rafael. Ready to get wet? The Reno 500 folks put on a triathlon series - the first event is in Hidden Valley Park. Should be a well run, competitive event. And another good cause - this Carson City race is being held to benefit a local college softball player. And once again, they are doing a points series - both a Sprint and a Long version. Info and rules on that are here. Rode my bike over to the start of the Silver State 50/50, down by the Wilbur May parking lot this year. Milled around and chatted with Darren, who was trying to get some aid station stuff organized. A few minutes before 8, we all trekked over to the start line, up near the entrance to the dog park, and got a pre-race briefing. Chris stopped by to say hi after he had run a ways out with some of the 50K people. Talked for a minute, and before long we were off with a bang. Last year, I was worried enough about my start position that I scouted out the best route through the marshy area near the dog park, so I wouldn't get stuck in a pack through there. This year, I just hung back and tried to find a group that was going my speed. Eventually we filtered out so that, heading up Evans Creek Canyon, I was in a pretty comfortable spot. Pretty much walked all of the hill out of the canyon, ran a little on the flats, then walked some more. That was pretty much my M.O. throughout the race. There's the aid station at the radio towers - those folks had one of the longest days, since they had to be out early for the 50 milers who started at 6, and stay through when the last people went back through with only 3 miles left. Big thanks to all the volunteers. It was a great day out there for wildlife. Early on I saw some of Peavine's ubiquitous rabbits, and just after the radio tower aid station, I almost ran into a snake crossing the trail. Not long after that, a coyote went loping across the hill just in front of me. Later on, the lizards were out in force, swishing back and forth on the rocks. Of course, there were birds all over the place too, singing to us the whole way. There was some nice flat fire road for a while, and I did a good portion of running. Then a short downhill before a good climb up to the pond and the aid station there. Then, of course, the huge grinding hill up to the ridge aid station. Seriously, a fixed rope would not be out of place for that climb. A quick cup of sports drink at the aid station, and a long downhill section with great views awaited. I sure wasn't flying on the downhills, though. I'd describe my uphill gait as "trudging", and on the downhills I was "trundling" along. So I trudged and trundled my way back through the radio tower aid station, over the ridge and back down into Rancho San Rafael. They changed the finish are this year to inside the Great Basin Adventure park. I thought it made a great change - you get to finish running along the ponds, with red-wing blackbirds and waterfowl swimming around. And the park area was nice and contained, unlike the wide-open finish are from years past. I hope they can keep that change to the course for future years. By the time I finished and had a couple cups of lemonade, they were already about to start the half marathon awards. Since I wasn't anywhere near getting an award, and was super tired, I hopped on my bike and rode home to take a shower and lick my wounds. The statistics: I finished in 2:48:06 - barely less than an hour slower than my time of 1:48:51 from last year. (It felt like I was drinking more water out there this year, but since I was out there for an extra hour, that would make sense.) Went from 8th overall and 1st in my age group to 89th overall and 15th in my AG. Full results here. Despite my slow time, and the soreness I'm having today, I'm glad I got out and did it. 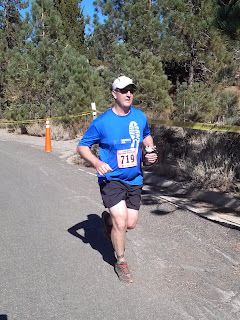 Thanks to the Silver State Striders for putting on a great race.